Any Spring Craziness going on with you and yours? Coming soon, a library of training articles that will be available at no charge if you would like to share any of my training articles on your own website. 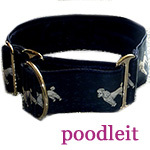 For now, check out a few at wwww.knowingdogs.com. From there, you can click on the Knowing Dogs blog for even more articles. Wishing you and your family, human and canine, a lovely Easter! It is time to be grateful for family and friends, but most importantly, for Christ who rose again so that we all might live! 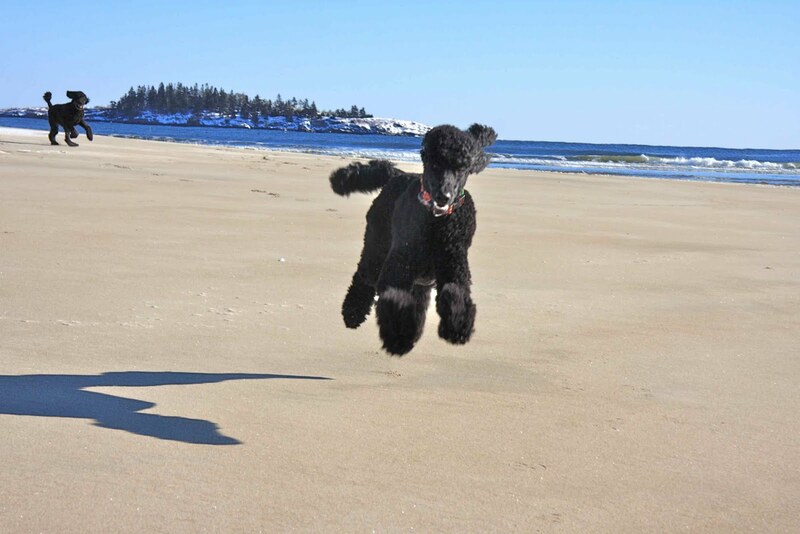 Many thanks to Chris L'Abbe for this fun photograph of her Poodles running on the beach. 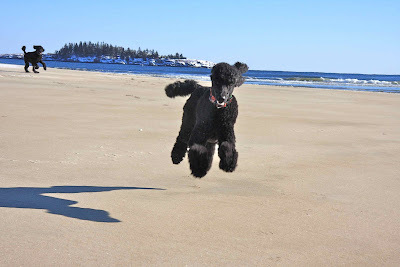 Look for another fun beach photo of the L'Abbe Poodles on the rotating header of the Knowing Dogs blog site. Poodles of all colors...Spring is here, time for landscaping! Sydney Dunlap, who says she wears the safety glasses not only for eye protection, but as an attempt to disguise her movie star good looks so fans don't interrupt her work when she is too busy for autographs. It's been awhile since I have hung out with any Poodle show breeders, but back in the days when I lived in North Carolina, I did visit with some of my show friends every now and then, particularly two ladies from whom I had gotten dogs. I especially loved to visit when they had a litter of curly Standard Poodle babies. It was such fun to watch them run and play. Whoops, I'm off the topic of my article. Calling all Poodles, of all sizes and colors...Spring is here and it is time to help your human friends get the yard in order! Hope you enjoy these photos of two of my all-time favorite Poodle friends--Sydney and Jyah Dunlap. Even though these doggies are both hard working movie stars, they still take time out from their busy schedules to help their parents in the yard occasionally. Jyah Dunlap operating the Bobcat at Canine Horizons.